Download a poster of the product here! 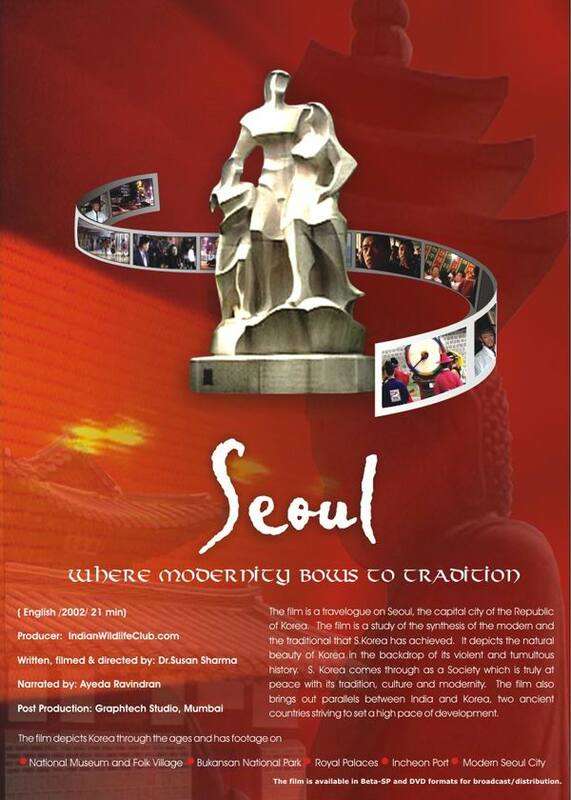 The film is a travelogue on Seoul, the capital city of the Republic of Korea. The film is a study of the synthesis of the modern and the traditional that S.Korea has achieved. It depicts the natural beauty of Korea in the backdrop of its violent and tumultuous history. S. Korea comes through as a Society which is truly at peace with its tradition, culture and modernity. The film also brings out parallels between India and Korea, two ancient countries striving to set a high pace of development. The film is available in Beta-SP for telecast. The film is telecast by Indira Gandhi National Open University in their channel "Gyandarshan". The film has been accepted by Cathay Pacific Airlines for in flight entertainment. The Korean Embassy in New Delhi screens it for the students of Korean Language from Delhi University and Jawaharlal Nehru University at special screenings in the Embassy.